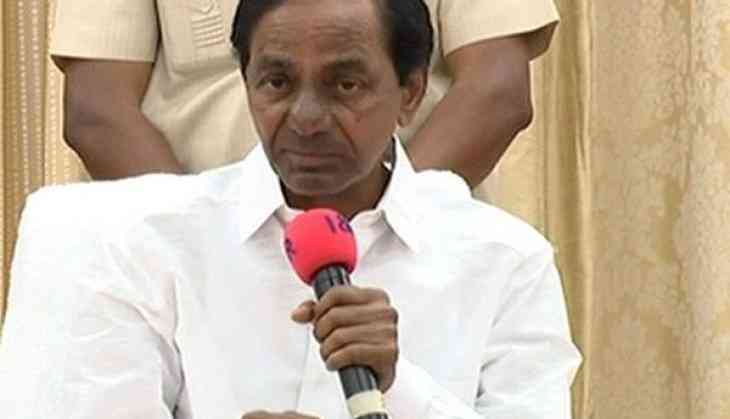 Telangana Chief Minister K. Chandrashekhar Rao has instructed officers to ensure distribution of Rythu Bandu cheques and Pattadar passbooks to all eligible farmers by June 2. The Chief Minister also expressed displeasure over the delay in completion of the programme due to technical problems and asked the officials to overcome these issues by the time the new registration policy came into effect on June 2. "In some places, cheques and passbooks could not be distributed due to non-linkage of Aadhaar of farmers. But it also came to my notice that a few revenue officials were being irresponsible. It was also observed that purification of land records was not properly completed in some other places," he said. "At a time when the government has been doing a lot for the benefit of farmers with great commitment, it is unfortunate that some of officials are unable to discharge their duties in tune with the requirement. It is high time that they change and jump into the action on war footing," he added. The Chief Minister has also called for a meeting with the ministers and the collectors on Wednesday in Pragathi Bhavan to take stock of the progress of the whole programme as well as to review and formulate a proper strategy for distributing passbooks and cheques to those who are yet to get them. He said that farmers are very happy that their land details and holdings have been rectified and updated besides issuing of new passbooks and investment support cheques, without spending even a single rupee. "The Farmers are extremely happy on receiving the Investment Support for their agriculture from the Government," he added. He further said the Rythu Bandhu scheme had received applause from across the country. "There is no other priority program to the government than that of farmers' welfare. That is the reason why our Government is allotting more funds to the agriculture sector. Many expressed a sort of fear when we started implementing the Rythu Bandu Program with a budgetary provision of Rs 12,000 Crores. We however, marched ahead with firm determination since; this is a program benefiting the farmers directly," he said. Chief Minister Naidu informed that farmers who could not attend the distribution programme in their village may visit the Tahsildar or Mandal Revnue Office concerned and obtain their cheques as well as pattadar passbooks.